The first thing that you’ll need to do after you’ve had a fight is to control yourself and bring yourself to calm down so that you can deal with the bigger picture which includes the person that you just fought with. You could try a whole range of activities that could help you reach a better and calmer state of mind – the first thing you could try is to take deep breaths, which have been proven to slow down a racing mind and to reduce the levels of anger that you’re going through. Other than this, you could try taking a walk outside for around half an hour. Putting distance between yourself and the person you had a fight with can be helpful as you’ll have some time for self-reflection and for processing what happened when things flared up between the both of you. Practice any calming technique that works for you, including singing, meditation, jogging – all you need to do is to get into a better mood so that you can have a proper dialogue with your friend so that things don’t spiral out of control again. Chances are that your friend or loved one will have thought about what happened to and will be ready to have a discussion about it when you try to talk to them about it. Make sure that you don’t approach them when they’re visibly not in the mood to talk – only try to comfort them when they’re accepting of you wanting to communicate and reduce the tension between you both. Be as polite as you can so that they get the signal that you’re not making this about yourself and want to put the fight behind you. Once you’ve started a dialogue, you need to make sure that things don’t start going southwards again, and to do that, you’re going to have to stop being too defensive. While you shouldn’t readily accept blame for what happened (unless you realize that it was, in fact, you, who was responsible for what went wrong) you should be responsive to what the other person is saying and not turn away when they’re describing their side of the story. It might not be appealing at all to be in such a situation, but once both people have heard what the other has to say, you might be able to find common ground. 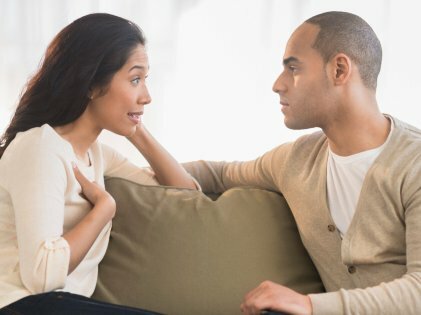 It takes two people to start a fight, so even if things don’t work out the way that you had imagined, you should still apologize for the role you played in escalating things and then give your partner some time before they can fully come to terms with you. The most important thing is that you don’t start a fight again and realize that in the long term, making sure that you can get along even after disagreements is going to be far more important than proving yourself right just in a single argument. At the end of the day, your egos are going to matter less than the special bond that you both share. It’s not worth holding on to a grudge, and the best thing to do is to apologize and move on with your life through understanding each others’ viewpoints.